TVS Motor Company, a leading two and three-wheeler manufacturer in the world, today, announced the launch of the Race Edition of TVS Apache RTR 180 in India. This special edition comes in a striking colour – Pearl White, with racing inspired graphics and will be offered with front and rear disc brakes as standard. The styling is based on a unique racing carbon fibre theme which denotes light-weight attributes and racing intent. 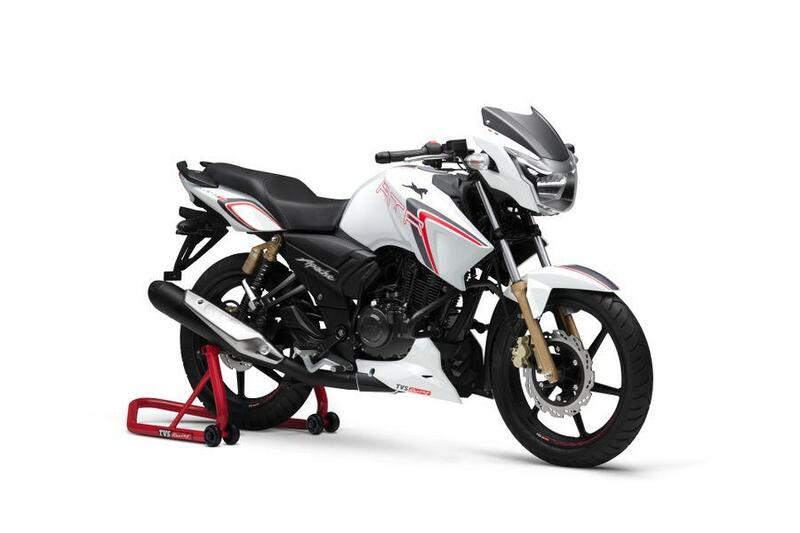 The TVS Apache RTR 180 Race Edition sports a new 3D TVS logo and features TVS Racing branded rim stickering on the alloy wheels. It has a digital dashboard with a blue backlit display and numerous tell-tale signs which includes 0-60 kmph speed recorder, lap timer and service indicator amongst others. The TVS Apache RTR 180 Race Edition features a 177.4 cc Single Cylinder, 4 stroke engine which churns out 16.62 PS of maximum Power @ 8500 rpm and 15.5 NM of maximum Torque @ 6500 rpm. The motorcycle, which boasts of a 0-60kmph in 4.96s is equipped with a superior braking performance and has the best-in-class power-to-weight ratio. · Digital dashboard with blue backlit display – 0-60 kmph reading, Lap timer, service indicator etc. TVS Apache RTR 180 Race Edition is priced at Rs 83,233 (ex-showroom Delhi). *Available in Twin Disc version only.